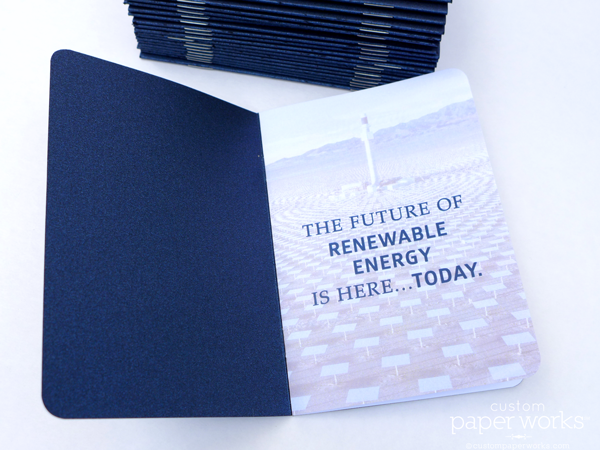 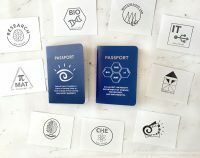 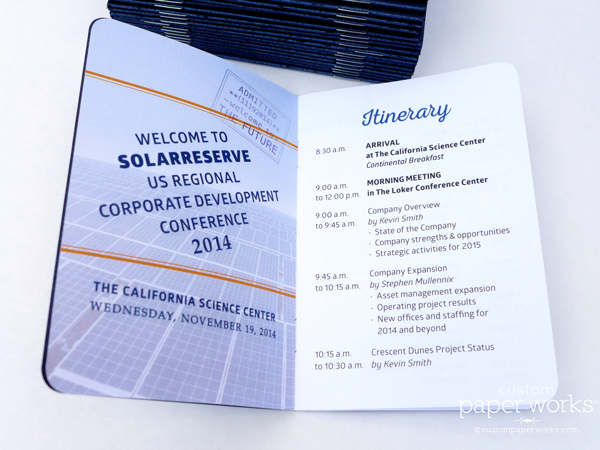 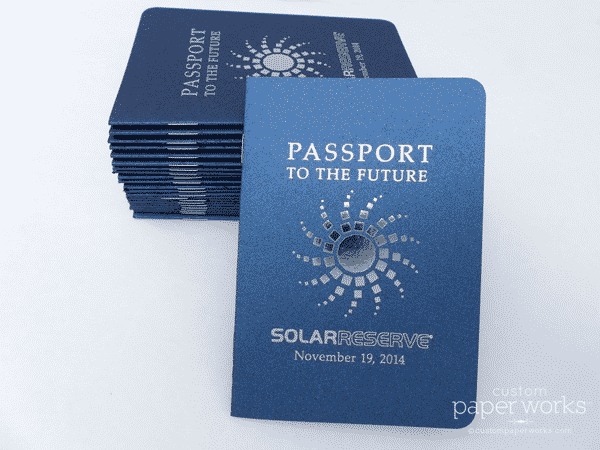 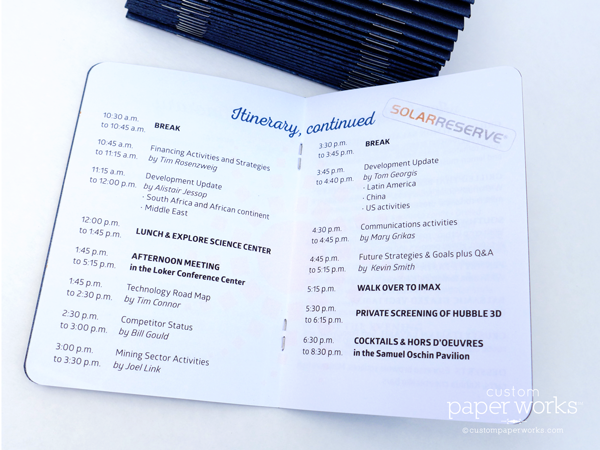 Another creative use of the passport booklet … for an internal corporate conference. 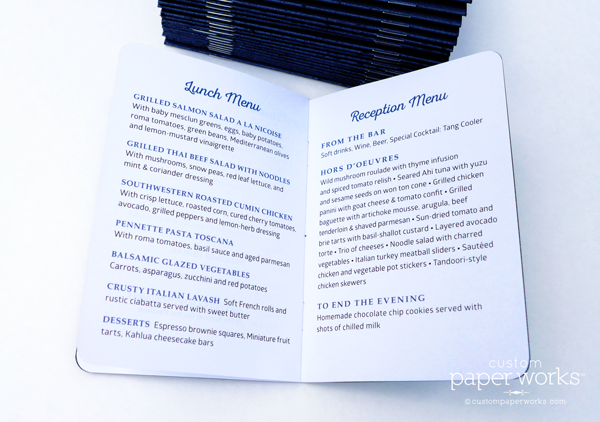 The entire schedule and detailed menu, along with several gorgeous images of their products in use all fit inside for a unique meeting take-away. 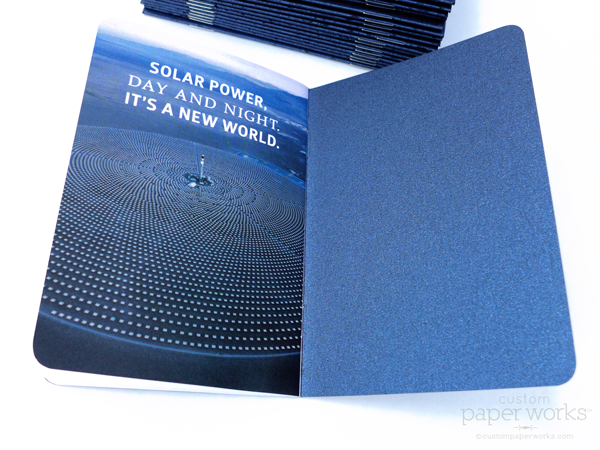 This is an 8-page (plus covers) passport with metallic card stock covers with silver imprinting on the covers.